Tú estás aquí: Inicio / Material de estudio / Efficient technique and injury prevention go hand in hand. Efficient technique and injury prevention go hand in hand. Interesting article to read and understand. 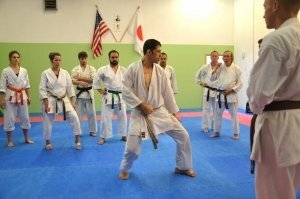 The principles that make karate technique effortlessly powerful, will also keep you injury free. That is one of the beauties of karate! In karate we are striving for the “beauty of one finishing blow technique”, and also, I believe, that we are striving to train and keep improving till old age. 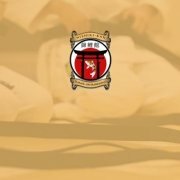 Those 2 concepts are not at all contradictory, at least not in Shotokan, on the contrary, a good, effective technique should have all the same qualities that will reduce stress from our joints and spine, will keep our spine and joints stable, strong, pliable and healthy. 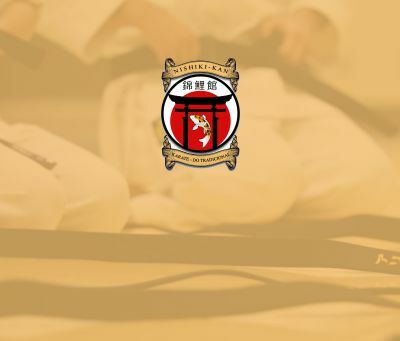 In fact, the principles of karate technique are in accord with the principles of physical therapy and injury prevention. as well as peak performance. Don’t forget, exercise is stress, only that we want to have a stress on the body that is constructive and not destructive. Technique is chain reaction from the ground up, if our technique is initiated from the feet, we will not move the extremities in isolation, the whole body will cooperate, technique will be more powerful, there will not be extraneous or contradictory energy in the technique, yet there will be less stress on the shoulders or hips. When technique is produced from the arms or legs, the technique is labored, weaker, even when it feels strong and there will be increased stress on specific joints and on the spine. Optimal posture allows for effortless control of body dynamics, and the full range of muscles contraction/relaxation, and for smooth transmission of forces through joints. This same optimal posure prevent space from the spine. For example, research shows that when the lumbar spine is flexed it is 40% weaker in producing force, and more susceptible to injury. In a head forward posture, the weight of the head create constantly more stress on the lumbar spine, and at the same time, the thoracic extensors are lengthened and weakened, and forces cannot transfer smoothly from the body center (sacrum) to the arms, through the thoracic spine and shoulder joint as should be. Muscles should act on a joint should be in optimal balance (force couple), When the muscles around the shoulder (or any joint) are imbalanced, the chest and anterior deltoids are short and tight and the scapular adductors and posterior deltoids are over lengthened and weaken, the joint is not in moving in its optimal axis of rotation, force transfer is not efficient and premature wear and tear is inevitable. Optimal sequence of body segments as well as sequence of muscles firing timing. In order to achieve maximum force in a technique within a given space, each body segment should be used to the fullest, and than next segment smoothly add force. for example in reverse punch, feet through legs, hip rotation, shoulder extend, than elbow extension than forearm snap at the elbow. In addition, force is transferring at the joints, therefore, each joint should be stable center to allow full transfer of energy from one segment to next. This same principle of producing force is key in preventing injuries, and stress on particular joint, if one joint is “skipped” or lacking in range of motion, the joint above or below will have to compensate. Internal muscles firing timing In karate we want to move from the center out, in order to move from the center out we must have a stable center first. When we say center we mean 3 fingers below the navel toward the spine, which is the sacrum area. The center has to be firm while the bigger muscles around the center, which produce the most force, has to be relaxed and activated according to the task. The smaller muscles around the sacrum and lumbar spine has to be activated before the bigger muscles and also in the right amount, according to the stabilization need. The stabilization needed is different for walking or for sprinting. Research shows that in healthy individuals the smaller muscles around the sacrum and lumbar spine (transversus abdominus, multifidus, pelvic floor and diaphragm) were firing 30-50 milliseconds before arm movement, and 110-130 milliseconds before leg movement, subconsciously, this is called “feed forward mechanism”. For people who had delayed or no activation, there was high likelihood of back pain, since the spine was not stabilized and protected against the movement of the arms and legs. This activation can be learned and this is what we do in karate, activating the center first and connecting the center to the extremities than moving from the center out. Those are of the biggest muscles in our body, and are responsible for stabilizing the back, producing force, and transmitting force from the legs through the sacrum to the upper body. The gluts tend to be a “lazy” muscle and is dormant for many people. When the gluts are weak there is more likelihood of back pain, and weak technique. In karate we stress engaging the glutes in every technique, I used to return from Sensei Nishiyama’s class with purple buttocks, and had to sleep on my stomach. Full range of movement in technique in Shotokan we train, at least in the basics to the full functional range of each technique for many reasons, such as conditioning the muscles to the full range, easy to learn proper coordination through big action, and if you control the big, you control everything in between, so the transition to smaller action in application is easier. Most injuries happen in the outer ranges, and by developing control and stability in full range we become more resilient to injuries. Technique is initiated from a firm center using ground reaction, the body center is also important in transmitting forces from the feet to the arms and vice versa. If the center is unstable, forces from ground reaction will dissipate and will not transfer to technique, as well as stresses will be put on the lumbar spine and sacrum. Firm, properly activated stabilizers around the low spine are important in order to alleviate stress from the spine. When the spine is stable, it also serves as an anchor for the bigger core muscles, and those muscles can function more optimally. https://thetraditioncontinue.com/wp-content/uploads/2018/06/blog-art-nish.jpg 341 400 The tradition continue https://thetraditioncontinue.com/wp-content/uploads/2018/06/logo-redis.png The tradition continue2018-08-09 12:32:032018-08-09 12:32:03Efficient technique and injury prevention go hand in hand.